© 2008 Big Ink. All rights reserved. 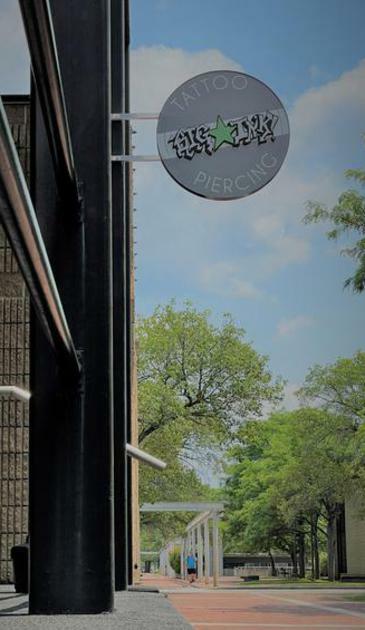 Big Ink has been providing high-quality body modifications since we opened our doors in 2008. Every day, we strive to provide you with knowledgable staff, friendly service and the best tattoos & piercings in the Twin Tiers. We provide great tattoos and piercings, maintain the areas largest selection of body jewelry, and carry top of the line aftercare products. Body Modification is what we do…it’s our life. We only have the best staff and the best artists who share our passion for body mods. That way, you know you’re being helped by people who know their stuff. “Good enough” is just not an option for us. We genuinely care about our clients and go above and beyond to make everyone a customer for life. We strive to provide an experience above your expectations, great art, fair prices and a place you'll want to come back to.